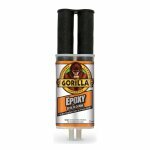 Gorilla takes epoxy to a new level - the Gorilla Tough level. With its superior solvent and water resistance, Gorilla Epoxy is one of the strongest epoxies around. It's also simple to apply. The easy-to-use syringe keeps the resin and hardener separate, so it is easy to dispense and won't harden over time, and you can always dispense smoothly. 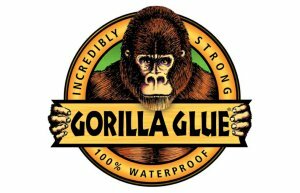 Gorilla Epoxy easily bonds uneven and vertical surfcaes like steel, aluminium, wood, ceramic and tile - making it the first choice for all kinds of automotive and domestic repairs. 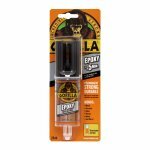 The two-part, gap-filling formula dries crystal-clear to provide an expert finish.